Quietly tucked among the conservation shophouses at Amoy Street, Burlamacco is a fine example of a stylish Italian eatery with its offering of a modern, elegant yet unpretentious environment. 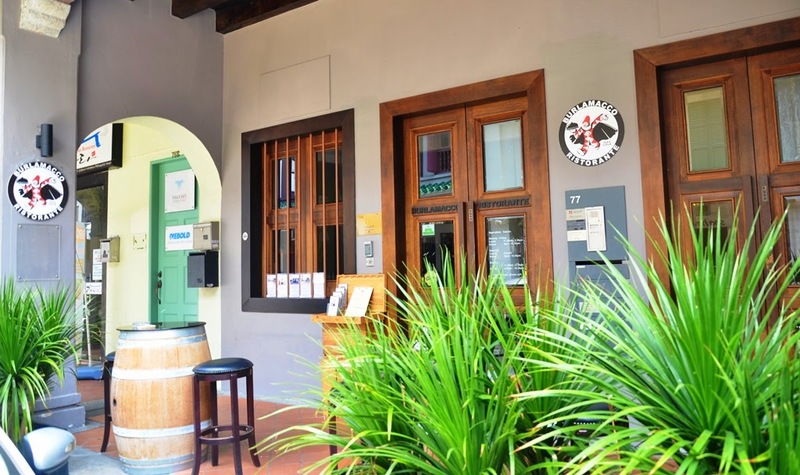 The friendly owner and Chef, Gabriele Piegaia wishes to juxtapose the lively ambience with his professional culinary skills honed from working in Michelin 1* restaurants in Italy, including Ristorante Antica Zecca and Ristorante Antica Osteria del Bai. 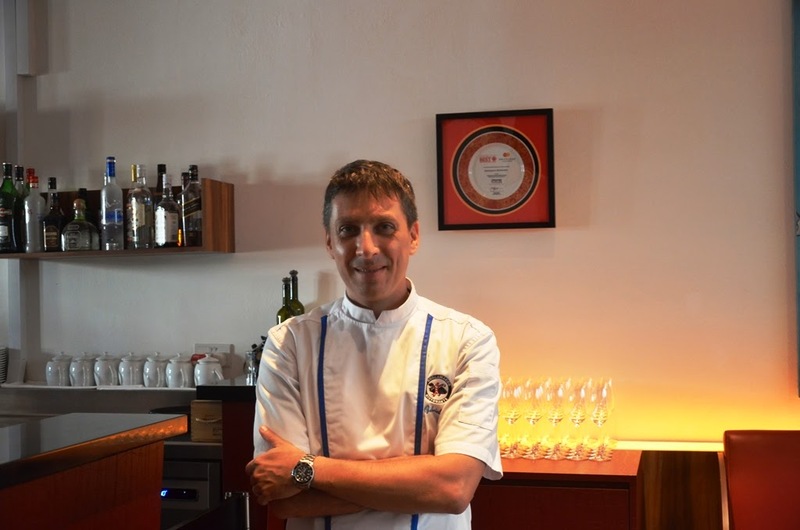 Chef Gabriele then moved on to improve his skills working in New York, London, Syria and now Singapore. With a list of culinary awards and accolades under his belt, Gabriele works with a battery of suppliers around the world to ensure the freshest produce is brought to the table. Tuscan-born Gabriele lives by the golden rule, "What you see on the menu is what you see on the plate". 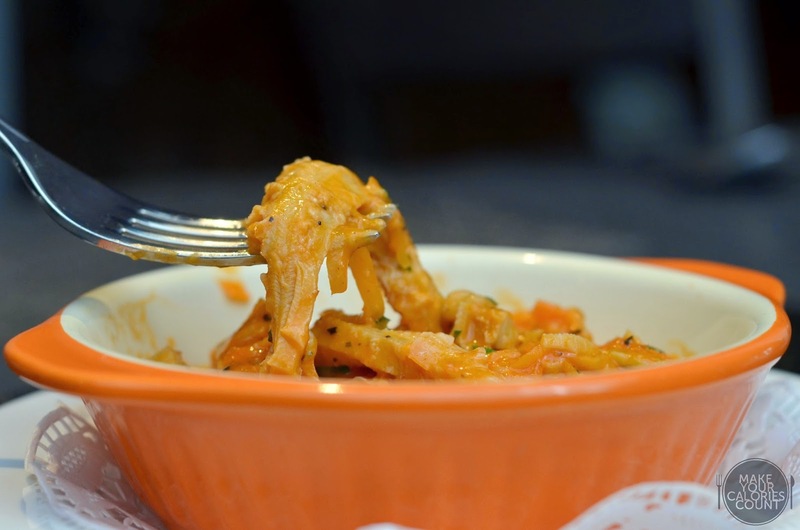 As such, Burlamacco's signature dishes are simple hearty fares. Can they make our calories count? A teaser dish on what to expect! Incidentally, the iconic Burlamacco is a carnival mask from the characteristic town of Viareggio in Tuscany where one of the most famous Italian carnival is celebrated. 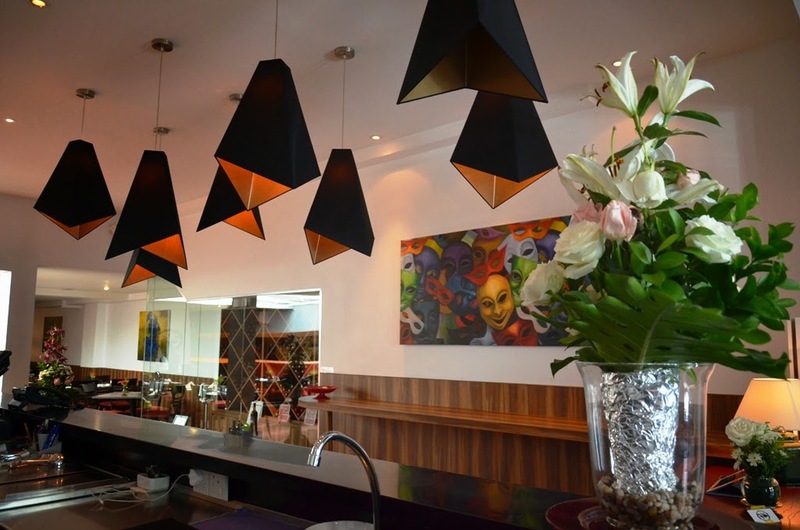 Bearing a red, white and black carnival mask, the Burlamacco is an icon of vivacity and one cannot help but sense the vibe with the line of suspended lampshades that front the restaurant. 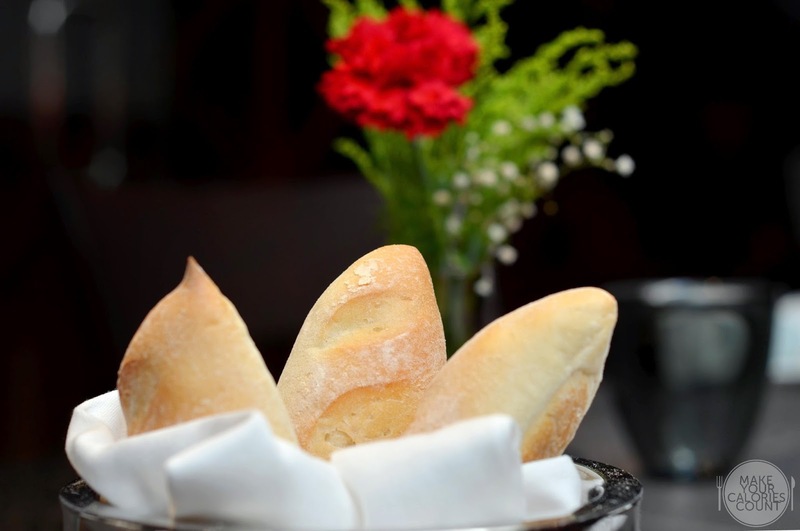 Like most Italian restaurants, Burlamacco serves some complimentary warm and fresh rolls baked in-house. With a nice crisp crust while remaining fluffy on the inside, it went well with the olive oil and balsamic vinegar dip served on the side. 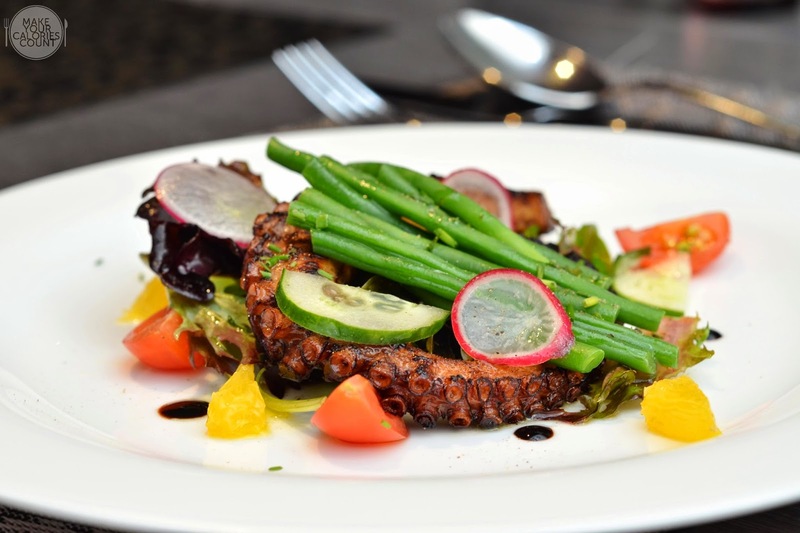 This was a perfect summer dish with the vibrant colours of the tomatoes, oranges, sliced radish and fine beans complementing the tan of the octopus tentacles. If presentation was not enough to wow, the flavours and textures were spot on. The octopus tentacles had a nice crisp texture from the caramelisation formed on the surface though it was slightly rubbery on the inside. While most chefs would tenderise their octopus before service, apparently Gabriele intended the texture to be so to bring out the contrast. 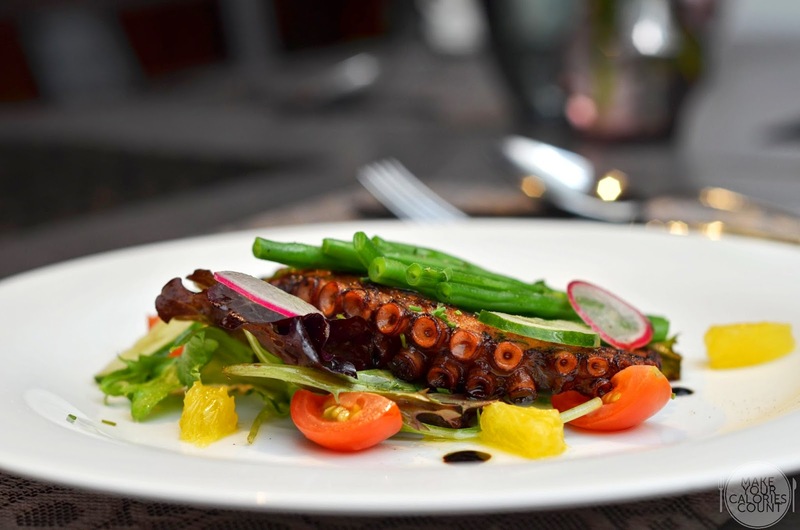 In terms of flavours, the sweetness from the caramelisation of the balsamic vinegar coating the octopus tentacles were harmonized by the freshness of the tomatoes before a refreshing burst of tang from the orange pieces. 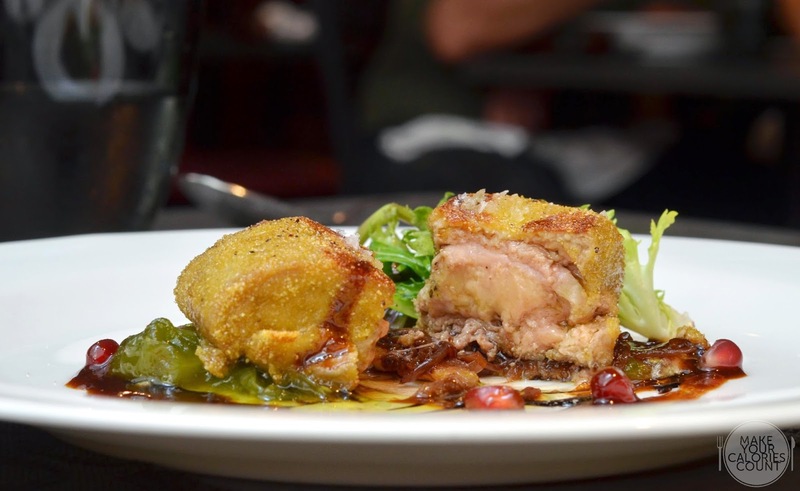 While most foie gras are served pan-seared, the Chef ingeniously introduced a layer of thin batter that crusted the delicate foie gras. 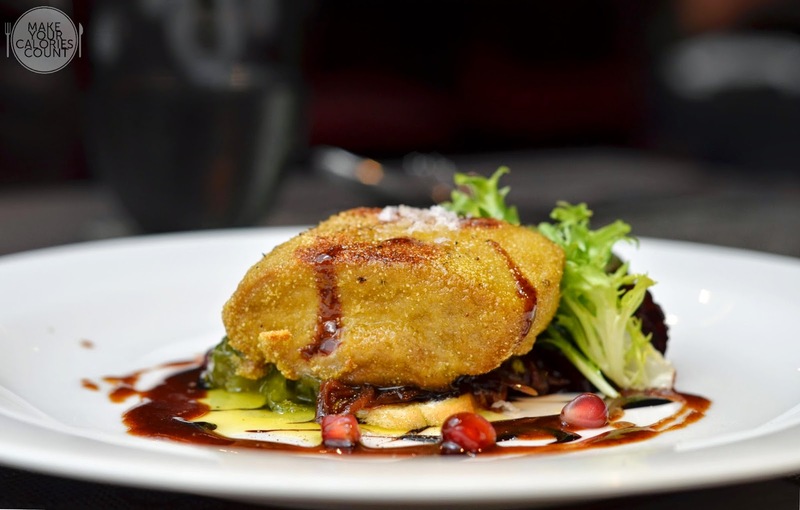 The crispness of the golden-brown batter juxtaposes the melt-in-your-mouth foie gras, giving a much desired balance in texture. When it comes to flavours, there was much complexity in the dish with sweetness from the balsamic vinegar reduction, caramelised onions and the luscious home-made green tomato chutney. It was perfectly balanced by the crunch from the pomegranate seeds together with its sweet-tart juices. For those with an umami palate, this dish would bring oomph but for those with a preference for a lighter fare, the sweetness from the accompaniments and the richness of the dish might tip the scales and overwhelm. For those not familiar with beef tripe, it is the cow's stomach. Quite frankly, I am not a fan when it comes to innards but having told that this dish was regarded by I-S Magazine as one of the "50 things to eat before you die", it would seem only fair to give it a shot. 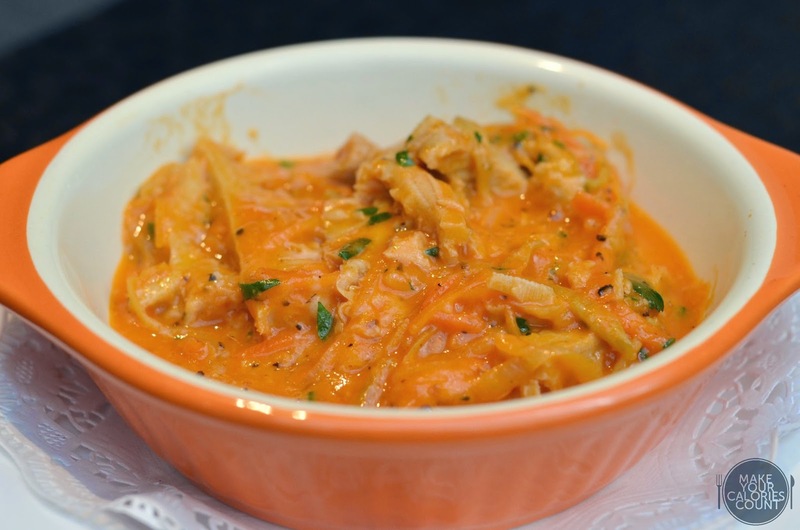 Much to our surprise, it was actually a really pleasant dish with the aroma of the melted Parmesan cheese whetting one's appetite before the chewiness of the beef tripe added a second dimension to the vegetable stew dominated by tomatoes. With more than 12 hours of cooking time before service, the richness and creaminess of the dish certainly made my dining partner swoon. The Arrabbiata sauce is a classic Italian spicy sauce made from garlic, tomatoes and red chilli peppers cooked in olive oil. Arrabbiata literally means angry in Italian and owes the name to the heat of the chilli peppers. While the name of the dish and the colours looked intimidating, the heat would be a breeze for the palate of most Singaporeans. 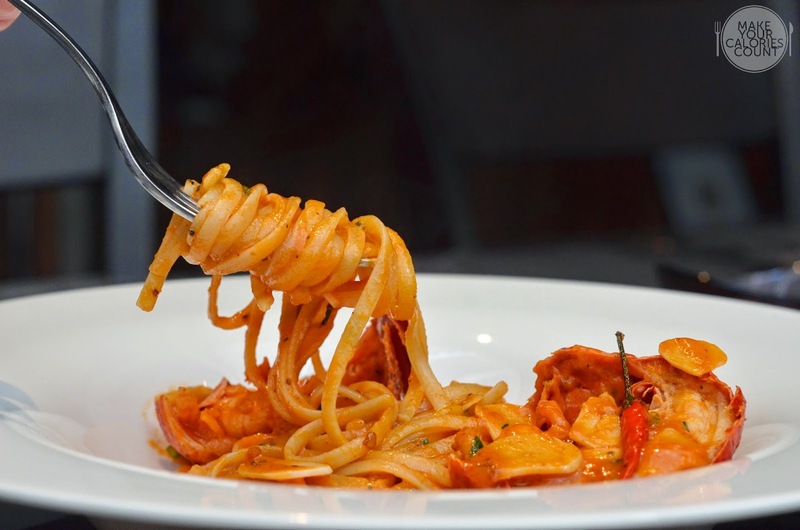 With home-made pasta, you could taste the difference of the linguine compared to the commercially packed ones. 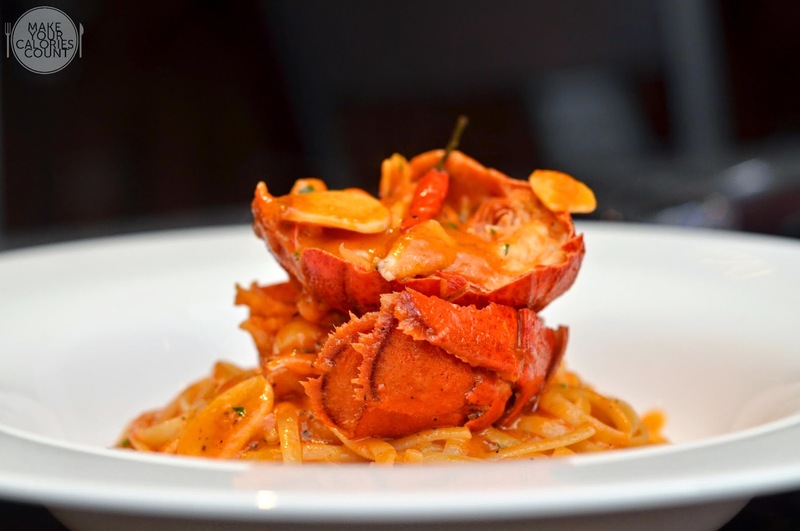 Cooked al-dente, the flavours of that beautiful sauce were robust and when paired with that fresh Boston Lobster, this is easily a dish I call comfort food. 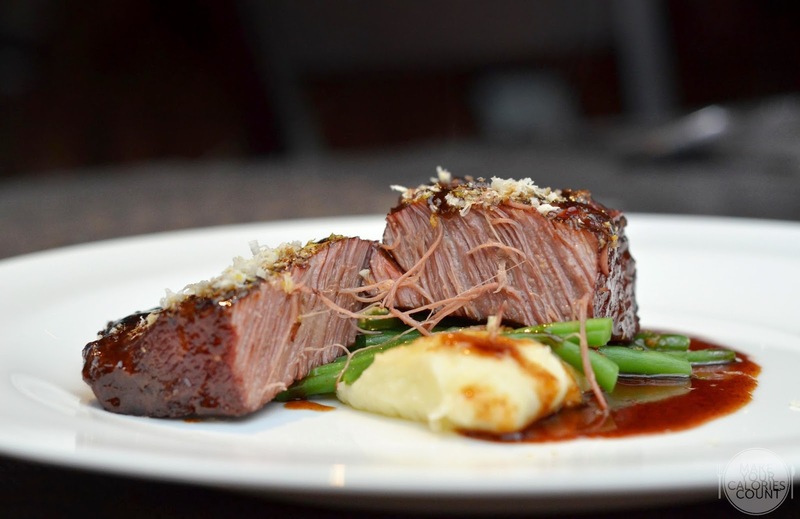 A simple dish executed perfectly, the beef short ribs were cooked sous vide for 48 hours at 62 degrees celsius to achieve this melt-in-your-mouth tenderness that was slightly pink and juicy. Precise temperature control and uniformity of temperature made possible with the sous vide preparation method ensures that the beef short ribs were evenly cooked. The sauce was a careful reduction of Marsala wine where a sweet after taste lingers. 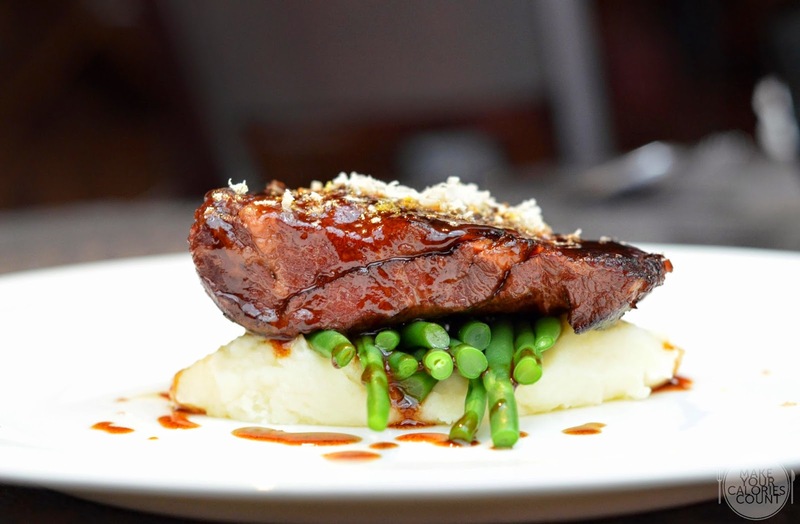 While the potato mash and fine beans were good, they played complementing roles to the starred short ribs. 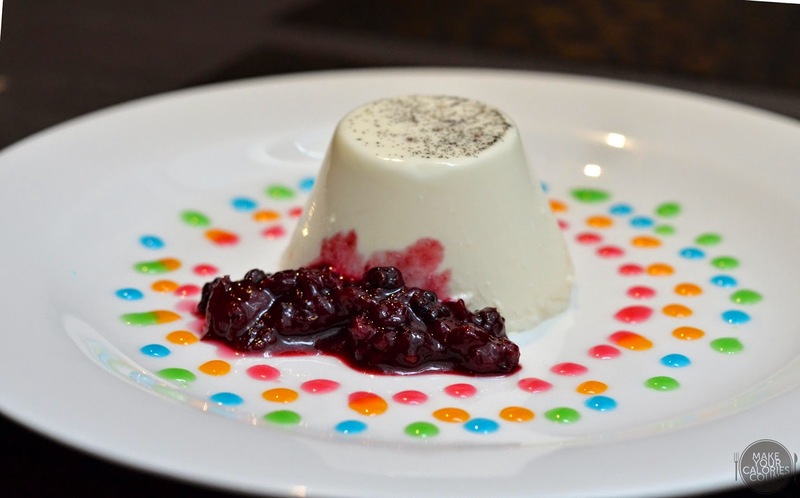 Playfully plated with summer colours, the panna cotta was beautifully done and easily one of the best I have tried. It set perfectly with a nice little wobble when you move the plate. The classic pudding-like dessert won us over with its creaminess and the flavours were elevated with the freshly scrapped vanilla pods. It is quite impossible to go wrong pairing panna cotta with wild berries and this was simply the perfect ending to a very sumptuous lunch. While all the dishes tried were executed to the highest level, what impressed us most was the dedicated customer service that Gabriele and his service team rendered to diners at each table. They took special efforts to speak to diners between service to make sure that the food was cooked to their liking and some intimate levels of interaction are no coincidence that most of the patrons are regulars. Overall, the food was impressive and service immaculate. 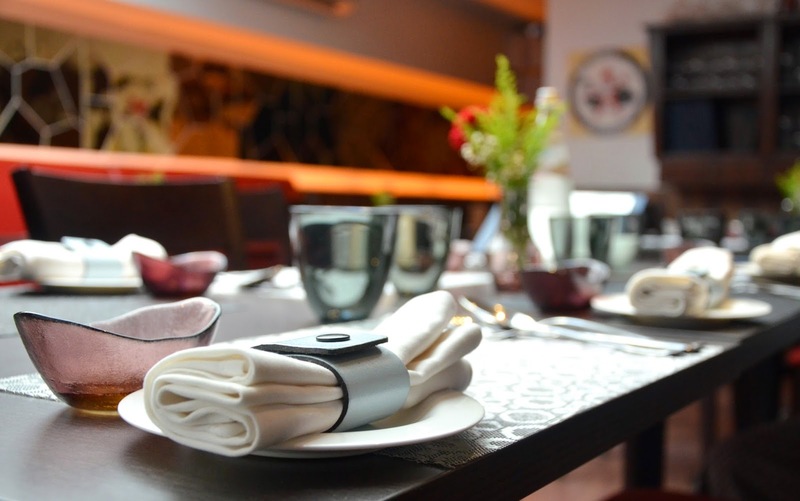 The ambience spots a rather relaxed setting yet elegant enough to host business lunches. 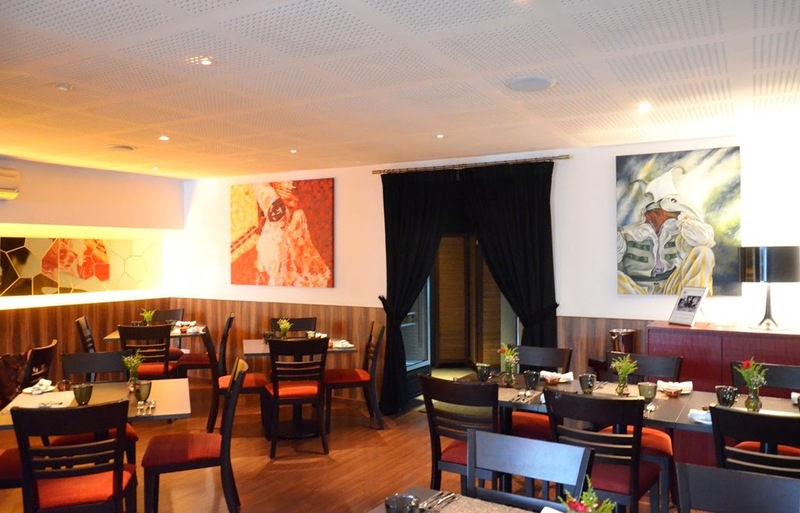 With a wine cellar that carries in excess of 120 labels and conveniently located near the business district, Burlamacco would surely be a recommended place for an executive lunch or an intimate dinner date. P.S: Special thanks to Gabriele and Burlamacco for the invite and the tasting session.